The THINK exhibit closed on April 29, 2015. Stay tuned to find out what will replace it! Guests often wander in and out of Innoventions, not quite sure what is actually inside. This is usually the case with the THINK exhibit, which is presented by IBM and is part of Innoventions West. 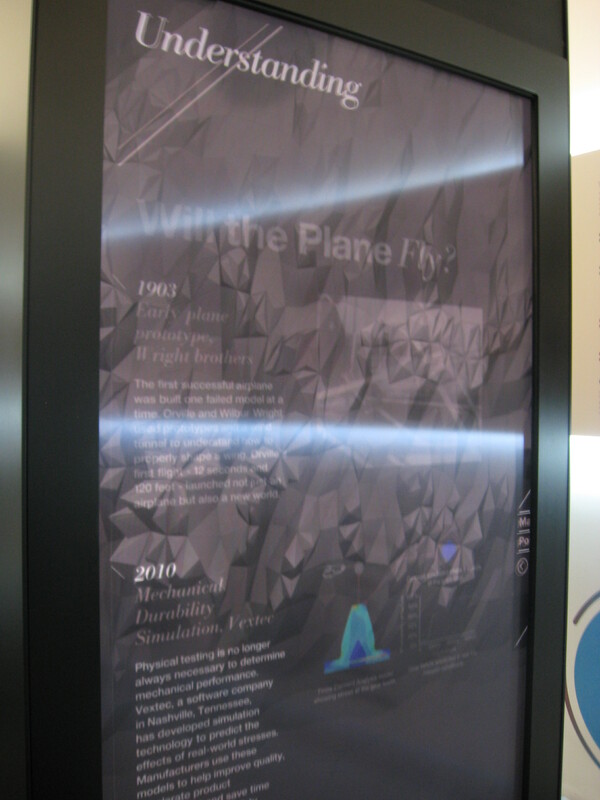 But take some time to explore the exhibit, and you’ll likely become immersed in the interactive data there. This exhibit is complex and is probably more informative and interesting for older kids and adults. We recommend starting with the 10-minute video. 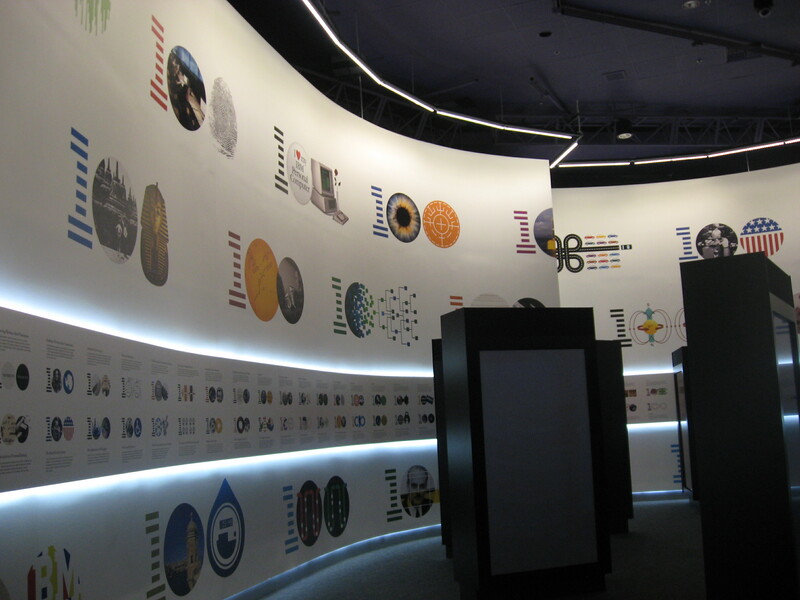 It gives a good overview of what the exhibit is all about: IBM technology used to discover the patterns of progress and redefine what is possible in our ever-changing, tech-infused world. It shows some fascinating advancements in food production, medicine, and transportation. THINK showcases five areas of progress: seeing, mapping, understanding, believing, and acting. Digital towers display these ideas and invite guests to touch, swipe, and tap their way through all kinds of media related to them. 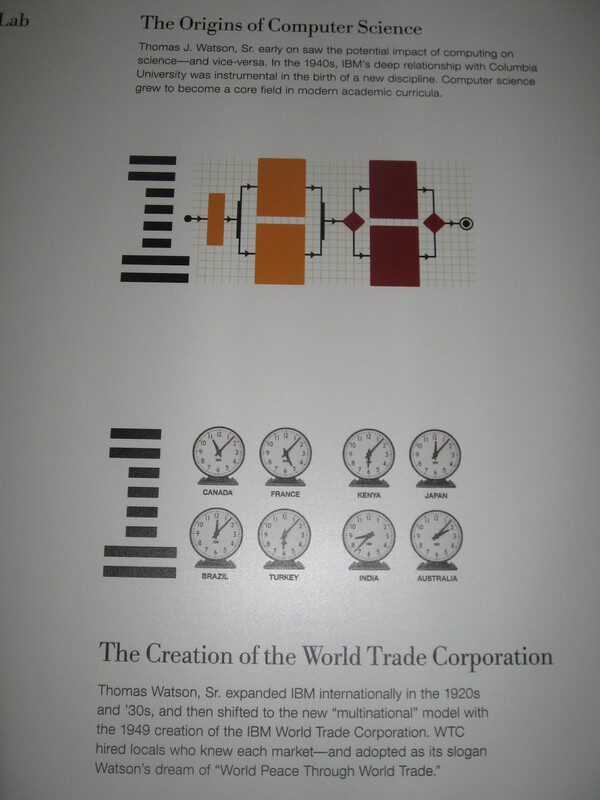 And the walls are full of history and facts on the 100 most influential IBM innovations. Kids of all ages will enjoy moving and playing in front of the Gesture Wall, which changes images based on individuals’ movements. For those who want to take the experience with them, there is a free IBM THINK app available for iPad or Android tablets. Teachers can also find more information at TeachersTryScience.org. The Great Piggy Bank Adventure closed on April 29, 2015. Stay tuned to find out what will replace it! For many guests, Innoventions tends to be an air-conditioned walkway from the plaza behind Spaceship Earth to the other pavilions in Future World. However, this is a great spot to take a break, get out of the heat, and get yourself or your family involved in new experiences. Innoventions West offers some really fun, interactive games and exhibits. One of these is The Great Piggy Bank Adventure. This is a super cute, engaging game that is appropriate for families with even very young children. It’s presented by T. Rowe Price and seeks to educate kids about the ins and outs of saving money. You begin with goal setting. You or your child will choose one of four expenses for which to save. Once you know what you’re saving up for, you receive an adorable piggy bank that you’ll carry with you through three interactive games. Each one touches on something different concerning money: saving, inflation, and diversification. 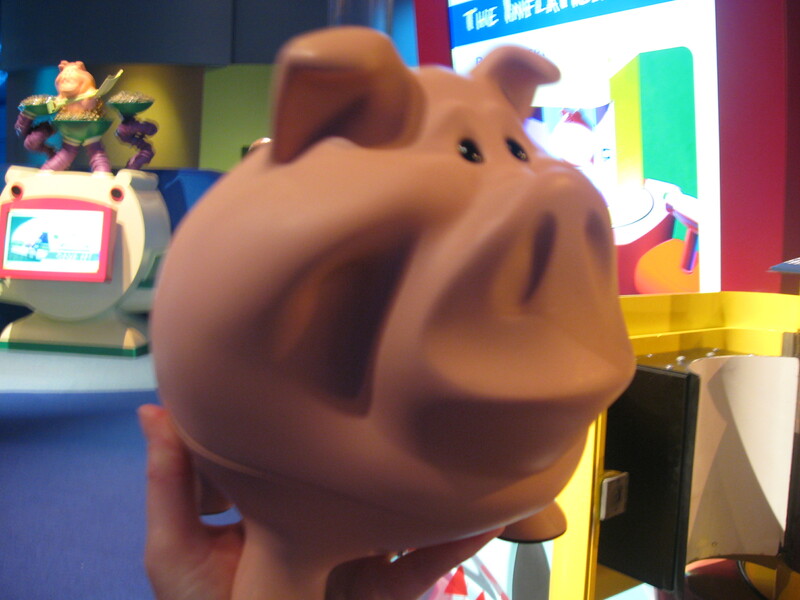 The “funds” in your piggy bank grow or shrink depending on how well you do in each game. The Great Piggy Bank Adventure does a great job converting these complicated ideas into experiences that kids can understand. 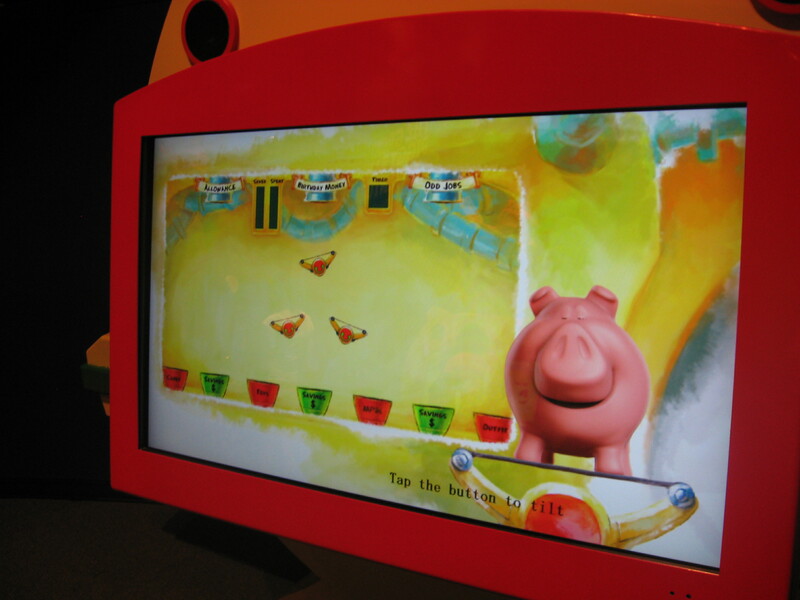 The games include screens to touch, levers to push, and of course the piggy bank. You might find it hard to say good-bye to your pig when the adventure ends.